Welcome to our military and army surplus section. 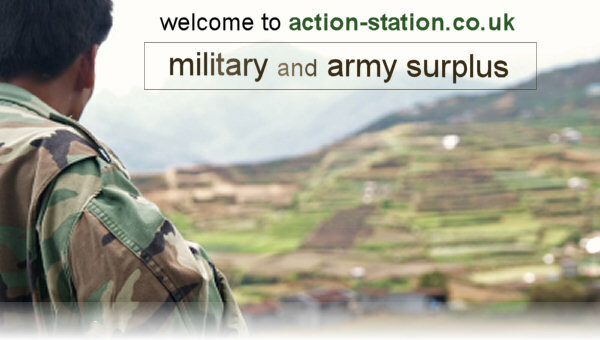 Click on the menu to the left to begin browsing our superb range of new and surplus military and army surplus clothing and hardware. Based in the UK, our retail shop stocks a fantastic range of military and surplus items. Action Station has been trading for over 10 years and we like to think we are the UK's favourite online store for all things outdoors.